I. Love. Black. Bags. Yes- whether it's large, medium or small, has gold hardware or silver hardware then I'm drawn like a magnet to them. 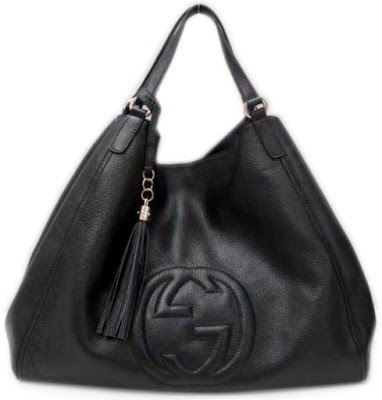 Even though I've easily got a black bag for every day of the week if my mind is set on obtaining a certain style then I'm on it until a purchase is duly made!! 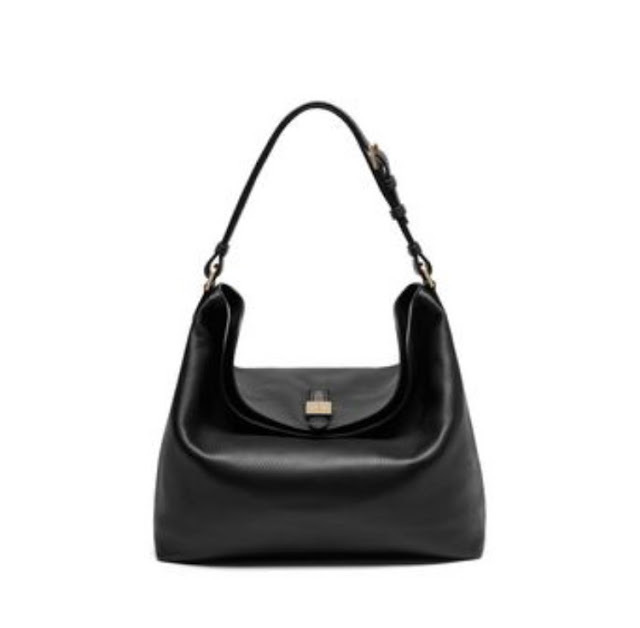 So my last phase on the black bag front was the oversized tote and I must admit it has been a regular and well used purchase- Primark for just £5 and with a touch of gold hardware its a very cute-and massive- bag. But oversized large is now off the radar in favour of the smaller hobo. I do have a lovely Fendi black Zucca hobo but I prefer not to use it on an everyday basis-a leather one is more ideal. So my most recent thrifting trip came up trumps on the bag front with this Tula black leather hobo for just £3.99 in my local Salvation Army charity shop. Barely used and as new it's a welcome addition to my black bag brigade and has been in constant use since I bought it! I was won over by the chic silver hardware and the classic simplicity of the slouch- and yes everything but the kitchen sink is currently residing in there! A perfect shoulder bag for daytime that will remain a favourite even when my 'style phase' starts to wane and the next style beckons!! 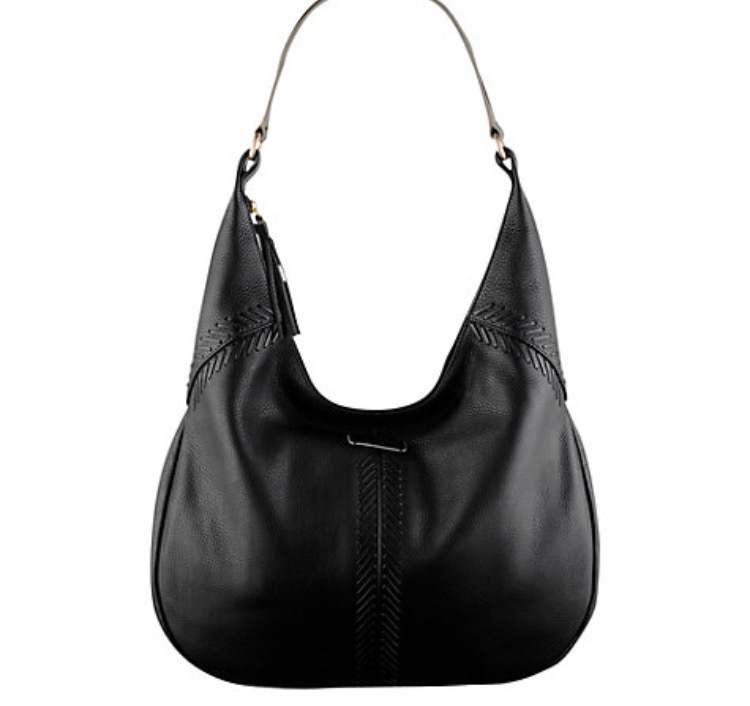 Are you a fan of hobo bags? What style are you currently using? Thanks as always for stopping by and reading and commenting- it is always much appreciated and I look forward to catching up with you all!! 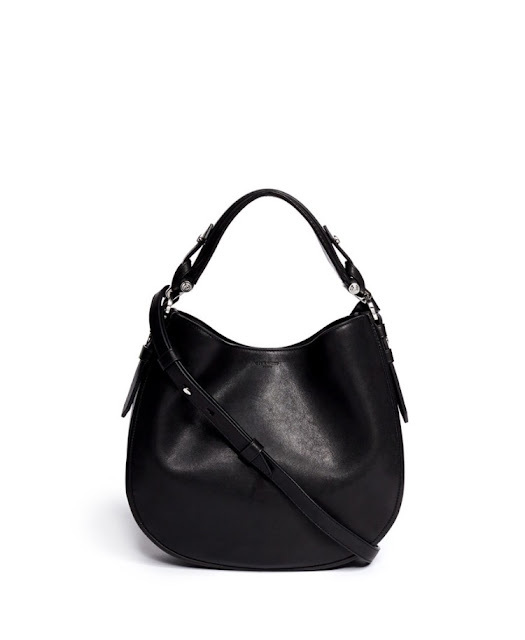 I kind of wish I hadn't read this, I love black bags, especially hobo style! I've just bought an oil cloth owl print bag and have thrown out a tatty black bag to make room. Love that charity shopped Tula, just gorgeous! I love black bags too! I hope to own a nice chanel one sometime in this lifetime haha!